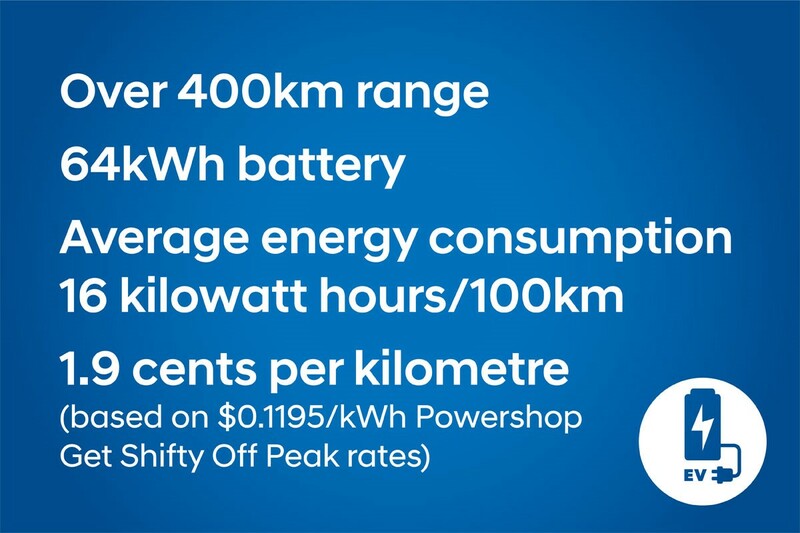 With the release of the all new Hyundai Kona EV launched recently into the New Zealand electric vehicle market, there has been much interest in its performance. With a driving range of over 400km this electric SUV is set to raise the bar. 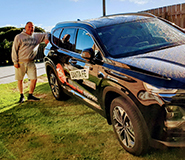 Brendan Foot Supersite customers, John and Marjorie Lumsden, have been waiting with anticipation for the arrival of the Kona EV. 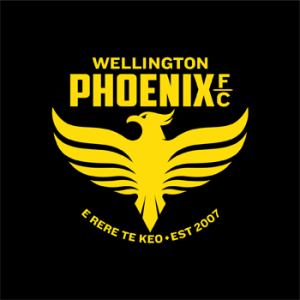 So excited, John couldn’t wait for it to be transported to Wellington, preferring to fly to Auckland to drive it back to Wellington and test out its performance over a long distance. Their experience didn’t disappoint says John. “We’re excited to have bought one of the first Kona EVs in the country, and it was a first rate trip. Great car, great drive”. 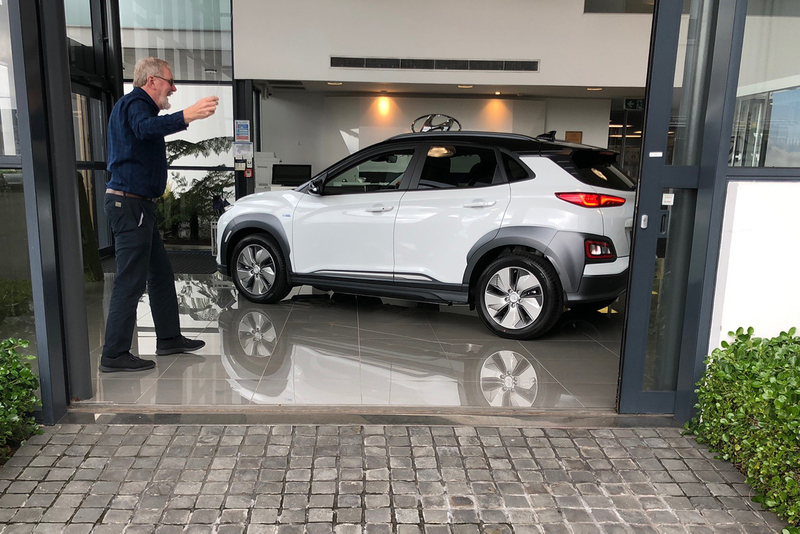 At Hyundai NZ in Auckland the Kona EV was unveiled for the Lumsdens by General Manager, Andy Sinclair, who welcomed them and set them on their way. 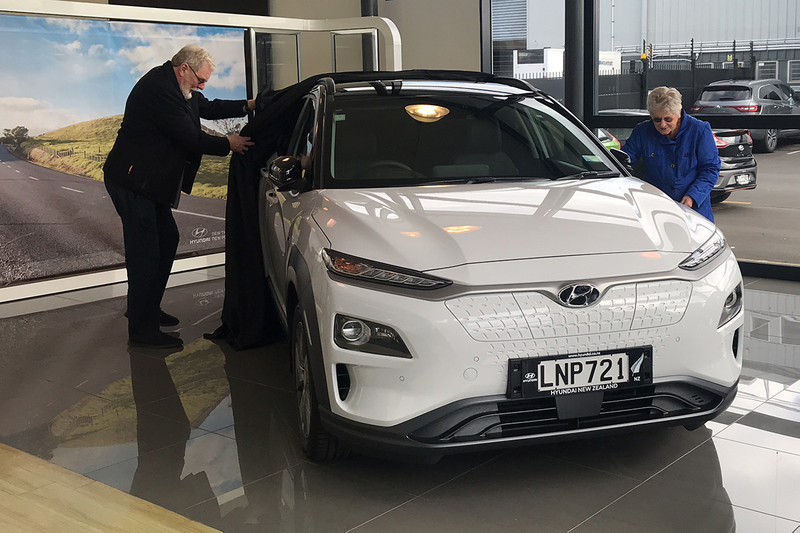 John and Marjorie Lumsden picking up their Hyundai Kona EV from Hyundai NZ. John Lumsden is excited to have bought one of the first Kona EVs in the country. 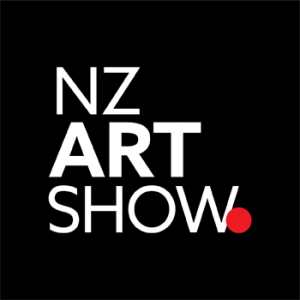 The first leg of their journey took them down SH1 to Turangi in four hours with a mix of traffic levels and weather, arriving with 79 kms range left. 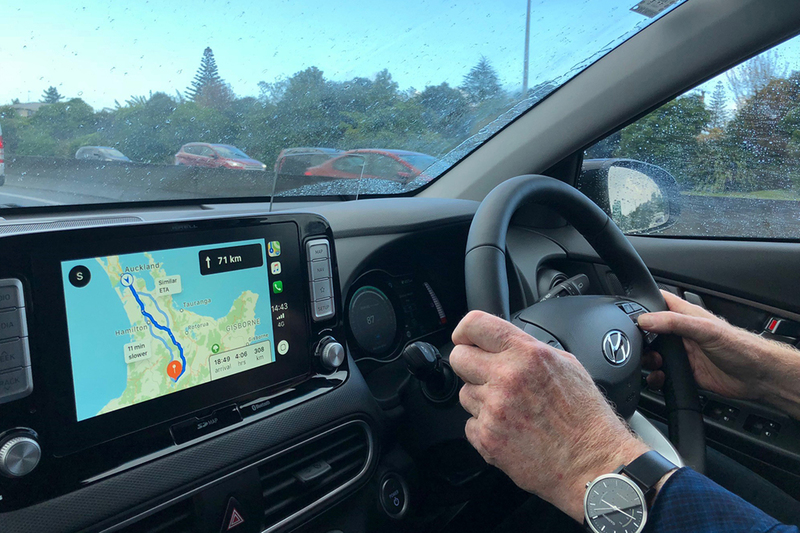 John driving his Hyundai Kona EV through traffic near Huntly. 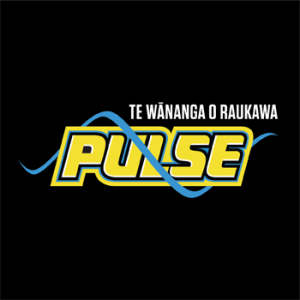 After an overnight stop in Turangi they charged up at the ChargeNet station in Turangi which they felt was very simple. 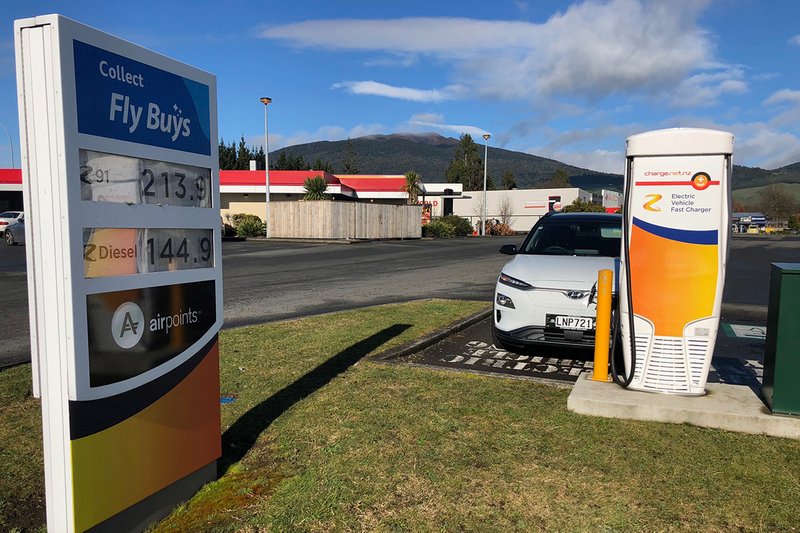 The Hyundai Kona EV battery being charged at the ChargeNet Station in Turangi. With their Kona EV set to go again, they headed over the Desert Road with lots of snow on the road side. Three hours later, stopping in Levin for lunch, they were impressed to find another conveniently located ChargeNet station in the local New World carpark. 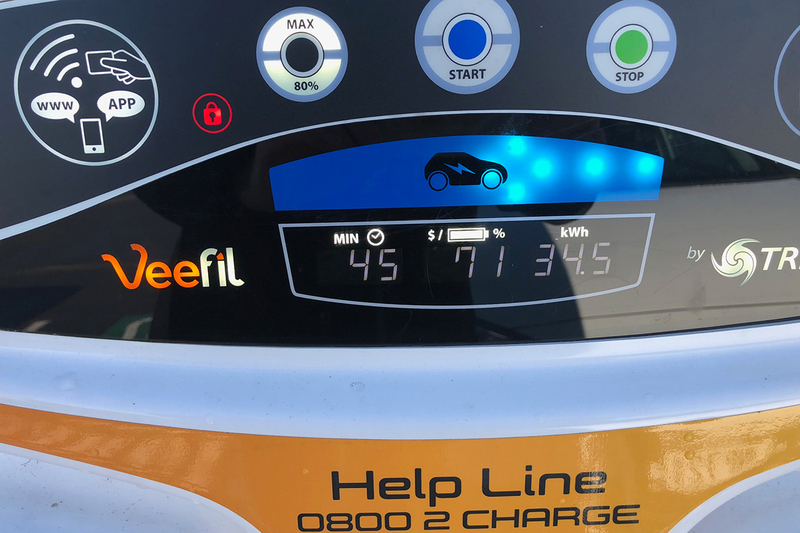 The second charge for the long distance trip was at the Chargenet Station in Levin. 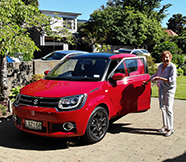 Arriving back into Wellington, John and Marjorie were very happy EV long distance drivers. “The Kona EV rocks! As well as zero emissions, it handles well, is quick off the mark, and has a useful heads up display”. 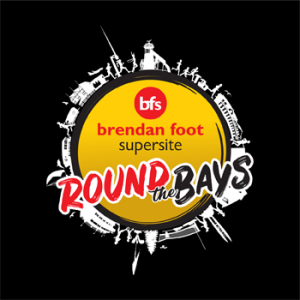 “We’ve done quite a few road trips, some quite adventurous — Nordkapp of Norway, Panama to Florida — but this was easily the most frugal and sustainable”. John’s stats from the road trip from Auckland down to Wellington in the Kona EV.